EcoBoost engines aren't always "eco"
Keep in mind that you'll need the Trailer Tow package if you plan to take advantage of the MKC's ability; its tow capacity is 3,000 pounds with that, and for 2016 that's the case with both EcoBoost engines. The 2016 MKC doesn't redefine Lincoln on its own, but it's an appealing luxury crossover on far more than the merit of its brand. With the 2016 MKC, Lincoln is trying to connect with a crowd it's simply lost touch with: young, affluent professionals in big East and West Coast cities. With the Lincoln brand again in flux, and migrating toward something that's more design- and technology-focused, it's getting a lot closer—if these shoppers can look past the ambiguity of the badge. In design, the MKC makes a solid statement of purpose against the likes of the Audi Q5, Acura RDX, or Cadillac SRX, and stands up well against new premium entries like the upcoming Mercedes-Benz GLA. It plays to a lot of standard-issue crossover styling themes, yet focuses in on a series of subtle design cues that show someone's paying attention. The front end's one of the slimmed-down renditions now appearing on all Lincoln faces, while glass has been carefully framed to avoid any references to the Ford Escape, which it's based on. The most interesting view's the one from the back, where the MKC's full-width taillights and the two-piece tailgate design are smoothly executed. Inside, the MKC skips the shift lever in favor of buttons to actuate its transmission. At the center of the dash is a large infotainment screen—Ford's new-generation Sync 3 this year instead of MyLincoln Touch—complemented by large knobs for tuning and volume, and with an array of climate-control switches on its elevated, kiosk-like center console. There's a richer feel in the materials, with Bridge of Weir leather and real wood trim, as well. The 2016 Lincoln MKC comes standard with a strong 2.0-liter EcoBoost, with 240 horsepower and 270 lb-ft, is the other choice, and it moves quite quickly with this base front-wheel-drive form. And the MKC has a level of ride-and-handling refinement that's on par with what you'll find in the RDX, the Q5, and the BMW X3. Steering is sharp, precise, and very well-weighted, and thanks in part to an available continuous damping suspension and active noise cancellation, you get crisp handling and great body control, without all the coarseness and road noise that such a setup usually brings on. There's no V-6 engine on option, but the MKC does better than that, really. With a new 2.3-liter EcoBoost turbocharged 4-cylinder engine, making 285 hp and 305 lb-ft of torque, the MKC can cut its 0-to-60 mph times to around seven seconds, with plenty of power for quick takeoffs and no-sweat highway passing. It incorporates a new twin-scroll turbocharger arrangement, so its power delivery is more immediate—about on par with the V-6 engines of a decade ago. And it's all very quiet and refined thanks to extra noise insulation, a balance-shaft system, and active noise cancellation. Back-seat space is the weak point, with the MKC's tapered-down roofline and hard, upright seating not adding up to a luxurious back seat for adults—especially if you opt for the twin-panel panoramic roof. 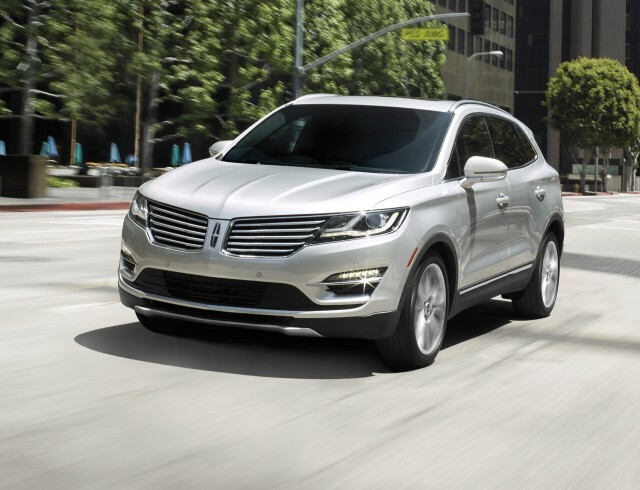 Provided you don't dwell too much on the badge, the 2016 Lincoln MKC is a luxury vehicle through and through. And that's especially true with respect to its feature set. Even at the base Premiere level, the MKC includes power heated driver’s and passenger’s seats; keyless ignition; cruise control; active noise control; the programmable MyKey system; speed-sensitive intermittent wipers; remote start; HID headlamps; reverse sensors; heated mirrors; and a set of features that collectively put it a step ahead of most other luxury-badge models, in terms of standard features. Stepping up from that, the Select Package gets you upgraded leather, more adjustable seats, ambient lighting, and plenty more extras. Reserve models are at the top of the lineup and get the dual-pane panoramic sunroof, navigation, a hands-free tailgate, and heated-and-cooled seats, among other things. Infotainment systems change significantly for 2016. The new Sync 3 system includes a fully capacitive touchscreen, improved voice controls, and other upgrades, and replaces the MyLincoln Touch system. It's not yet clear whether Sync 3 fully replaces MyLincoln Touch for 2016. A Technology Package brings a suite of active-safety features like lane-keeping, adaptive cruise, a collision warning system with brake support, and a cross-traffic alert system that Lincoln says is a class-exclusive. There's also a new Active Park Assist with Park Out Assist, which gets you in and our of tight parallel-parking spots without touching the steering wheel. The 2016 Lincoln MKC stands out in all respects, and really satisfies inside, with nice details and trims. In profile, the MKC bears a lot in common to the Ford Escape, with which it shares much of its underpinnings. Yet if you look at it by the details, you might not actually know it. The MKC has unique sheet metal, and the roof is actually an inch lower than the Escape. And we'll venture to say that it's a lot more voluptuous and interesting to look at. The front end, with the Lincoln split-wing grille, HID headlamps, and LED accent lights, isn’t far from the front-end design used on other current Lincoln models. Yet in back the full-width LED headlamps and super-clean look afforded by the unique clamshell-style tailgate are refreshingly different in a class of relative lookalikes. "Graceful athleticism" is a design theme Lincoln uses to describe the exterior, and the 2016 Lincoln MKC shows that from the side, in its stance. If you've been away from Lincoln cabins for a few years, what you see inside will be uplifting. Under a theme called "Elegant Artistry," Lincoln designers have made a strong effort to provide a lot of contrasts in the interior trims—think porous wood with bright metal, and glossy wood with matte finish, for example. It adds up to an impression that feels like it’s borrowing equally from Scandinavian design sense and a good ol’ French curve; think more organic than computer-generated. Top MKC Reserve models get Bridge of Weir leather and are better-lit by the huge panoramic roof. It's uplifting...but carries quite the price premium. The MKC is quet and docile, yet it handles far better than most people will expect. There's no V-6 option for the 2016 Lincoln MKC, but you won't miss it. The new-generation 2.3-liter EcoBoost turbocharged inline-4 that's available makes 285 horsepower and 305 pound-feet of torque—adding up to some very rapid performance, plus plenty of power to spare for passing or gaps in traffic. That optional engine is essentially the same one that's been offered this past year in the Ford Mustang, and it takes advantage of twin-scroll turbocharger technology to make throttle response far more immediate—on par with V-6s of less than a decade ago in both power and responsiveness. Although it can sound somewhat coarse when accelerating, active noise insulation and plenty of sound blanketing keep the interior quiet, and a balance shaft system keeps it smooth. 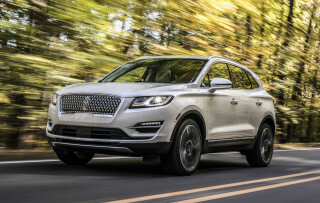 Most MKC models will come with the 2.0-liter EcoBoost inline-4 that Ford has now pushed out into much of its Ford and Lincoln lineup—in everything from the Focus ST to versions of the Taurus and Explorer. 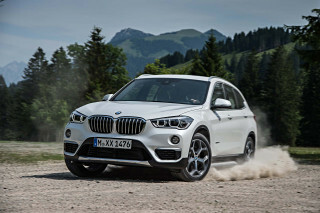 Here it has 240 hp and 270 lb-ft, and while it's considered the base engine it moves the MKC nearly as quickly as the 2.3-liter versions—especially in base front-wheel-drive form, as there it weighs about 200 pounds less. All versions include a 6-speed automatic transmission, which in 2.3-liter versions Ford has reinforced with a stronger torque converter. Downshifts can be a little tardy, although you can order them up quicker with the steering-wheel paddle-shifters and a little planning. Steering and handling are real strong points for the MKC. It's generous on poise and confidence, with a quiet, refined driving experience that's also never short on responsiveness when you need it. Through a continuous controlled damping suspension, with multiple modes, as well as multiple modes, you can order up a more responsive driving feel when you want it, or a softer experience when you're just cruising; and in either case, the suspension can fine-tune its behavior in milliseconds to damp out road roughness or aid body control. The second key to that duality is a very tight, quiet cabin, with active noise insulation that actively cancels out road coarseness and other unwanted sounds. As for how those steering, powertrain, and suspension modes are selected, it's all part of a system called Lincoln Drive Control. The idea is that you have one normal set of choices for "D" and one other, sportier, set for "S"—all on the odd instrument-panel button shifter. If you hit Sport twice, you can toggle on a full manual mode that allows you full control with the steering-wheel paddle-shifters. Well, it's not quite full manual, as it forces a downshift when your right foot reaches the floor, but almost. This system lets you program two quite different characters for the vehicle, based on two different steering-assist levels, two performance (powertrain) levels, and three suspension levels. The only catch is that you set those characters through a menu system, with the left steering-wheel toggle. And those settings are buried, in the third layer of menus—so it's the sort of thing you'll set and forget for some time. Keep in mind, however, that MKC models with the base suspension aren't nearly as miraculous on a curvy road. They do boast steering that's just as great, although their body control is a little less coordinated. Provided you're in front, you’ll feel comfortable and at ease in this plush, quiet cabin. The 2016 Lincoln MKC has the luxury-vehicle ambiance down pat, although if you're taller you probably won't enjoy the back seats as much as you might have hoped. In the back seat, materials and trims are just as impressive as those up front, but the contouring and cushioning don't feel luxurious. It's more cramped than about any model we can think of in this class (around 180 inches long), and with that available panoramic roof 6-footers are going to find head room very tight back there. It's cramped back there to the degree that we think you should skip the MKC if you plan to carry adults, or even teens, back there on a regular basis. As for those back seats, they’re split 60/40 and flip forward just as easily as any other crossover of this kind. The cargo floor isn’t perfectly flat, but it measures out to a good amount of extra space for weekend errands. From the front seat, the outlook is very different. The MKC feels just as roomy and airy there as mid-size models like the Lexus RX. Lincoln has padded all areas in front of (and beside) the front and outboard rear occupants with soft-touch materials; even the lower glove box panel ahead of the passenger is padded. Supple Bridge of Weir leather, with tri-level heating and cooling, add to seats that provide impressive comfort and support in front. Only if you plan to exploit all the cornering forces afforded by the sticky (unique to this model) Michelin 19-inch rubber, you might find them a little lacking in side support. The one rather frustrating element of the dash—MyLincoln Touch—is being replaced this year with a new system called Sync 3. 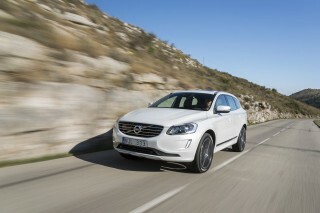 We'll update this review as soon as we've had some experience with this system in the MKC. But we do expect some of this model's already-good control elements to return—like the easy-to-understand steering-wheel toggles. The 2016 Lincoln MKC isn't perfect by crash-test results, but it offers some very useful active-safety items. The MKC isn't quite a top safety performer. Yet, it impresses with its safety equipment. 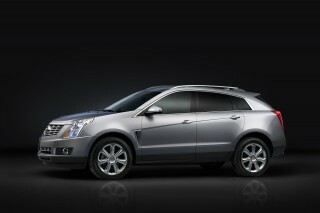 Top Reserve models also include the blind-spot monitors with cross-traffic assist. If you’re willing to step up the bottom line and check some more option packages, adding a $2,235 Technology Package gets you adaptive cruise control, active park assist, a lane keeping system, and forward sensing. With that, the MKC gets the IIHS "Basic" nod for front crash prevention. So far, crash-test ratings and results have been mixed for the MKC. In federal testing, it achieved four stars in frontal impact, but earned five stars for side impact, including all subcategories. The feds noted, however, that in side-impact testing the left rear passenger door came unlatched, which would have increased the potential for injury. The IIHS hasn't fully crash-tested the MKC, but so far it's earned top "Good" results in frontal and side impact. Ratings aren't yet out for the tougher small overlap frontal test—and they haven't exactly been stellar for the current Ford Escape, on which it's based (its "Poor" small overlap frontal result from the IIHS is particularly worrisome). Outward visibility is one sore point. We did find it difficult to estimate the MKC’s corners when parking, and there’s not a lot of outward visibility when changing lanes. Camera systems make up for that when parking—mostly—and there's an available active park assist system with a park-out feature, helping you pull away from tight spaces as easily as you pulled in, leaving you to control the accelerator and brake, with your hands off the wheel. There's a lot of features for the money in the 2016 Lincoln MKC—depending on whether you see it as a true luxury vehicle, that is. The 2016 Lincoln MKC Premiere—the base model, essentially—includes power heated front seats; keyless ignition; cruise control; active noise control; the programmable MyKey system; speed-sensitive intermittent wipers; remote start; HID headlamps; reverse sensors; heated mirrors; and a set of features that collectively put it a step ahead of most other luxury-badge models, in terms of standard features. Stepping up from that, the Select Package gets you upgraded leather, more adjustments in the seating, ambient lighting, a power tailgate, and plenty more extras. For 2016, there's a new Climate Package with a windshield wiper de-icer. Reserve models are at the top of the lineup and get the dual-pane panoramic sunroof, navigation, a hands-free tailgate, and heated-and-cooled seats, among other things. 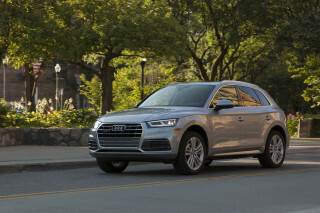 The 2.3-liter engine, the Continuously Controlled Damping suspension, and all-wheel drive are standalone options, so there are many, many builds possible—although if you want front-wheel drive, you'll need to stick with the smaller engine. Infotainment systems change significantly for 2016. The new Sync 3 system includes a fully capacitive touch screen, improved voice controls, and other upgrades, and replaces an old outdated, touchscreen system. It's not yet clear whether Sync 3 fully replaces MyLincoln Touch or whether it will be an extra-cost option. The base Premier also includes a media hub with two USB ports, an SD card reader, and RCA input. You can also opt up to a THX II Certified audio system with 14 speakers plus a distributed bass system, or spring for extras like 20-inch wheels or several special paint hues. A Technology Package brings a suite of active-safety features like lane-keeping, adaptive cruise, a forward collision warning with brake support, and a cross-traffic alert system. There's also a new Active Park Assist with Park Out Assist, which gets you in and our of tight parallel-parking spots without touching the steering wheel. 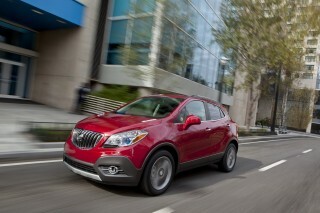 A fully loaded MKC is still just shy of the $50,000 mark, while starting prices are in the mid-$30,000s. Again, whether the MKC makes sense or not from a value standpoint relates to how you see rival nameplates from Lexus and Audi. If those have extra value on their own, you might see more in those models, despite their lower feature content. One other point of interest: There's a comprehensive MyLincoln Mobile app that allows a wide range of services from a distance (through the cell network), including remote starting, a fuel-level check, and a vehicle locator. Although the 2016 MKC offers EcoBoost engines with impressive mpg ratings, you might not see the "Eco" side of the personality all that often. 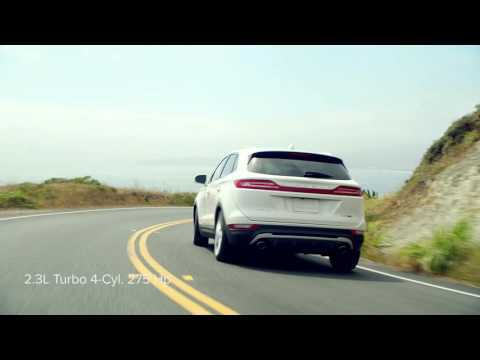 The numbers you see for fuel-efficiency of the 2016 Lincoln MKC are quite impressive. Yet we're not quite as sure that you're going to see the MKC's window-sticker numbers in real-world driving. 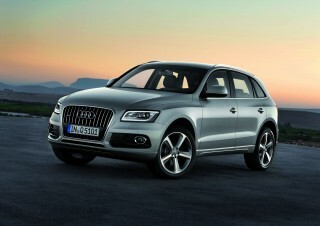 All-wheel drive is mandatory with that engine, and it brings EPA ratings of 18 mpg city, 26 highway, 21 combined. With front-wheel drive and the base 2.0-liter EcoBoost turbocharged 4-cylinder engine, the MKC earns EPA ratings of 20/29/23 mpg. 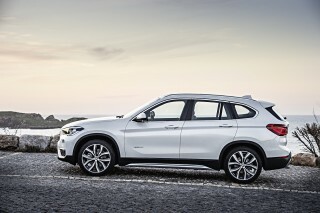 Add all-wheel drive and that drops to 19/26/22 mpg. We've noticed real-world numbers near the bottom of that range—or even below it—in a couple of real-world drives by now. And it's not hard to beat those numbers in cross-shopping. The Audi Q5, Mercedes-Benz GLC, BMW X3, and Lexus NX all have hybrid or diesel options that offer a boost in mileage; yet there are no such options in the works for the MKC.